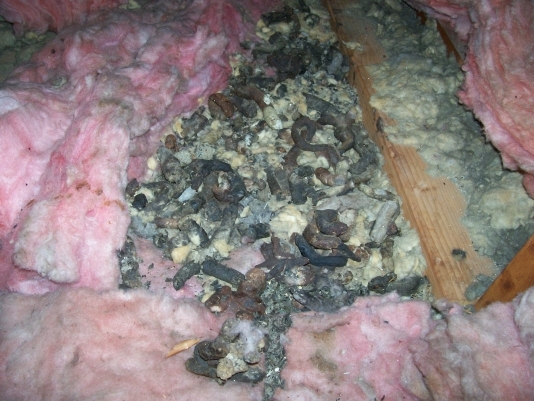 Rats are an all-too common problem for many homeowners throughout the Dallas area. In addition to being carriers of disease, they also tend to leave a trail of damage wherever they go which can spell trouble for your home. Rats are generally quiet and nest themselves in a safe, quiet place in your home to breed; because of this, it’s easy for a rat infestation to get out of hand before you know it. Removing the offending rats is only part of the issue, however. Because rats tend to cause damage wherever they nest, it’s imperative to repair anything left behind after the rats are gone. Fortunately, Critter Control of Dallas is your total solution when it comes to rat damage repair. Once we humanely remove all the rats from your home, we repair any damage and seal off any entrance points to ensure there are no repeat incidents. Food Sources – Rats are not picky when it comes to what they eat. Any food containers that show signs of contact with a rat should be disposed of, as rats carry a variety of transmittable diseases. Electrical Wiring – Rat’s teeth are constantly growing which means they are always looking for a way to wear them down. Wiring is especially attractive to them, and can create a fire hazard once chewed through. Rat Waste – Wherever rats decide to take up residence in your home will likely be contaminated by urine and feces which is not only incredibly unsanitary, but also smells awful. Soiled Insulation – If rats make their nest in your attic, the fiberglass insulation up there makes great nesting material. This often results in urine soaked, torn up insulation which can cause your power bills to rise significantly. Don’t underestimate what these small creatures can do. Allow the trained experts at Critter Control of Dallas handle any rat damage problems you may be facing. When we’re finished, it’ll be like nothing ever happened. Give us a call today for your free estimate at 817-222-1101or fill out a Contact Us form.